As humans, we like to feel like a community member. We strive to connect with others who share common interests, beliefs, and passions, both in person and online. We engage with the content that aligns with our interests and beliefs, and we ignore the rest. We share or follow what we believe to be valuable and hold meaning. Brands also want to feel like a community member and want to build meaningful connections with their customers. They know that today, consumers choose to purchase from the brands that align with their cultural identity and provide value beyond their purchases. But identifying consumer culture, your target market, and what they want is becoming harder than ever for brands. Today, customers can exist anywhere and are no longer isolated by their geographic location. Densely networked online communities, centered around any topic, can live and flourish. Brands no longer attract a one-size-fits-all audience; their audiences are not one-dimensional or static. Customers align with brands for a number of reasons, and brands need to understand each audience segment and why each connects with their brand. So how can brands build and maintain a strong brand community? Building a strong brand community starts with the people—the audience. Instead of creating content and hoping it sticks, brands need to flip the model, take an audience-first approach, and rely on rich, cultural audience insights. Brands must find out what makes their ideal audience tick and what matters to them before crafting any community-building strategy. But getting to know an audience intimately is easier said than done. Most brand strategists and marketers use a variety of tools, data sources, and research methods in an attempt to “piece” together what their audience cares about or finds influential. There is too much data, and marketers are simply drowning in it all. This process lacks efficiency and accuracy, and typically it results in marketing and advertising efforts that lead to a little return on investment. Thanks to advances in marketing intelligence and technology, platforms like Affinio can identify highly connected communities with similar interests, passions, behaviors, and aspirations. 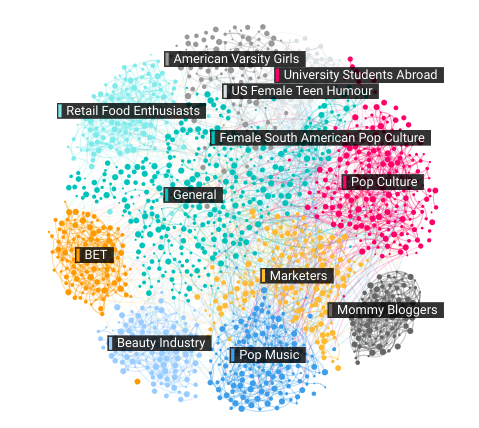 For example, using graph analysis, brands can detect target communities and identify what they are talking about, what they are sharing, who they are influenced by, how they view themselves, and what they care about most. Below is an audience visualization of a major CPG brand’s audience. As you can see, numerous audience segments exist each with their own reasons to align with the brand. The brands that create communities that align with the lifestyles, passions, and interests of their ideal customer can deliver great returns. Brands who have access to these high-quality insights can develop valuable, targeted content and ad strategies to engage their most desired audience segments. The goal is to have your brand foster a genuine connection with consumers. The goal is not to be an outsider or an advertiser, but rather a valuable, trusted community member and thought leader. 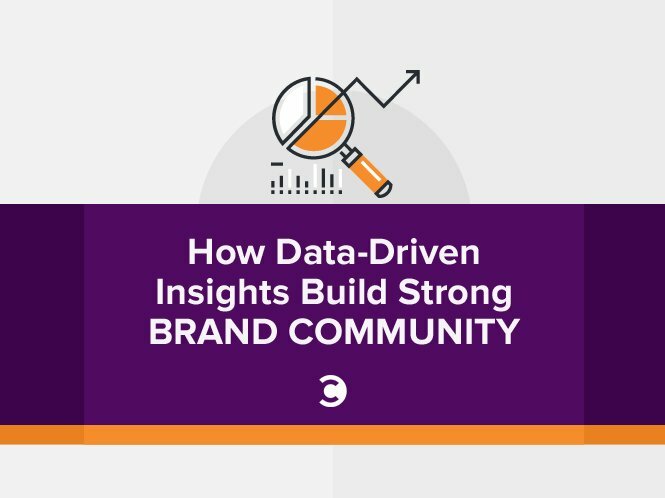 It is the brands that take these insights and weave strategy into the passion areas of their target communities who will become trusted community members. What brands do you believe understand their target market intimately and have a strong brand community? Let me know in the comments or on Twitter. Hannah Chapple is the Marketing & Content Coordinator at Affinio, the marketing intelligence platform. Hannah holds a Bachelor of Business Administration with a major in Marketing from the F.C. Manning School of Business at Acadia University.